SKU: Shield Quickdraw Category: Quickdraws Brands: DMM. DMM’s Shield quickdraw’s are probably the safest in DMM’s range. The lightweight I-Beam construction results in a 24Kn strength and its shape makes it very difficult to croos-load away from the spine. 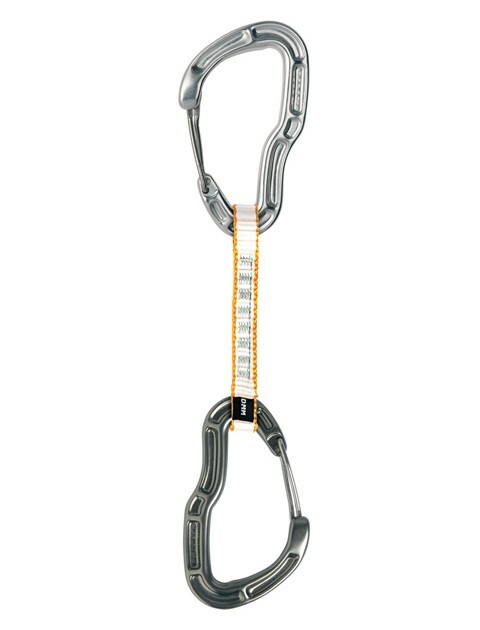 The Shield also has the recognizable twisted Wirelock gate and curved backbone which make the carabiner both easier to handle and safer to use. 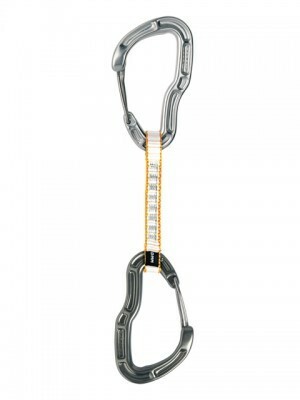 The Shield has DMM’s patented Wirelock clean nose which helps to avoid catching on bolts, wires or slings and its narrow nose profile allows small pegs and small bolt hangers to be clipped. It is also less likely to become frozen in winter or become clogged with dirt. 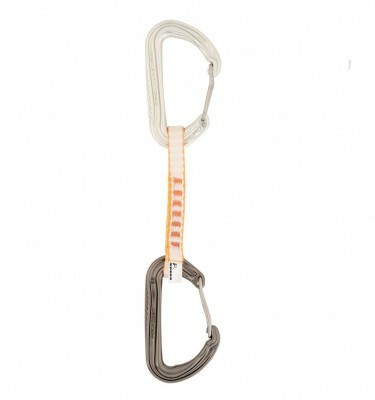 The quickdraw comes with a 12cm dyneema sling to provide an amazingly light and strong connection. 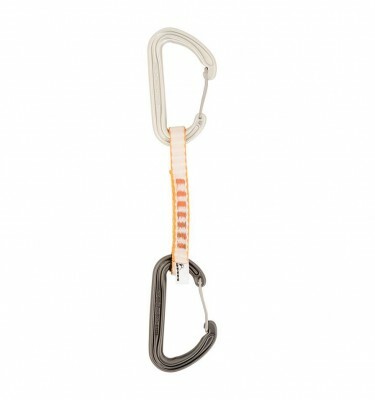 A rubber “tadpole” holds the rope end carabiner to aid easy clipping and to help prevent cross-loading.